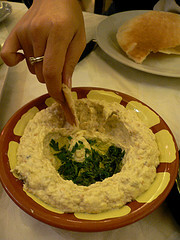 Byblos offers catering for any occasion in the greater DC area. If you're having a wedding, anniversary, graduation, or any event where you want delicious Mediterranean food, Byblos can help make your event a success. You can choose any combination of items from our diverse menu food below and Chef Marc will prepare them for your event. You can also request any of our Chef Specials. For pricing and other questions call Marc at (202) 364-6549.